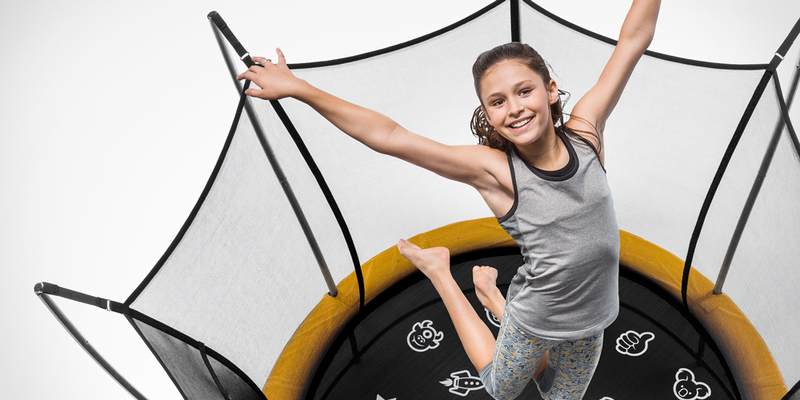 Vuly brings trampoline bouncing to more families, with Lift. Here at Vuly, we're excited to welcome an entire new range of cutting-edge, market leading trampoline models. With a host of incredible new features, additions and changes, we thought that we'd zone in on each of our shiny new additions to give you the low-down on what’s new and improved. Today, we look at the Lift trampoline – the entry-level Vuly that delivers serious bang for you buck! We invite you to realise your family’s passion with our Lift trampoline model, the most affordable of our designs, with pricing starting at only $599.99. The Lift trampoline features a sturdier and easier to assemble dual-ringed frame that the previous Classic, with a safer enclosure. Our latest design has removed all contactable net poles to produce a completely contact-free, UV-resistant hourglass enclosure for the ultimate in bouncing safety. We have also improved on our previous Classic model’s design by taking our small, zippered entrance and upsizing it into a wider and completely zip-free access point – allowing you to jump in and out of the trampoline enclosure as quickly and as safely as possible. One thing that we haven't made larger are our delivery costs. We've overhauled our packaging to make it more efficient and minimising delivery charges. Alongside these fantastic changes are our standard safety-minded features, including strong, dual-layered spring system, padding – which directly attaches to our springs – and nuts and bolts-free assembly. Wanting to compare our Lift trampoline to our premium Lift Pro model? We’ve noted the major differences between the two, so that you can ensure you’re making an informed purchase! Lift Pro’s tightly woven terylene netting is designed to be gentler on skin. It's deal for families who require a softer landing experience. The Lift frame is preserved against weakening and damage through our twice galvanised process. The Lift Pro features the same twice galvanised strength and stability, but with an added matte black powder coating. The Lift includes tough, flippable padding which you can change from the Classic Blue to the more durable Electric Yellow. The Lift Pro features the same hardy Classic Blue padding, but you can flip it to a more durable Cool Grey.